Brief Synopsis – Two American fighter pilots stationed in Hawaii each fall in love in the days leading up to WWII. My Take on it – Like Titanic (1997) before it, this movie takes a famous historical event and adds fictional characters to help narrate and explain first hand what happened on that day. This is done well since it really does give us a feeling of what it was like for American servicemen before the US joined the war. They longed to be a part of the fight against tyranny. A bit over a week ago, I reviewed Tora! Tora! Tora! (1970) and that inspired me to re-watch this movie. I must say I am glad that that happened since I think I enjoyed this movie more now than I did when I originally saw it in the theater 12+ yaers ago. Back then, I actually was infected by the media blitz that was totally against the success of this movie due to it’s high budget and the dislike of Director Michael Bay. The friendship between Ben Affleck and Josh Hartnett seems genuine and the love stories are done in an effective way that helps move the story along. Many people will say that the 3 hour running time is too much, but I didn’t feel bored at all throughout the movie because there was always something going on. The attack on Pearl Harbor itself is amazing because it shows the heroic strides taken by some, the cowardly ones by others and the helplessness of many others. The mix between all 3 of these gives one a true depiction of what possibly happened during the surprise attack. This movie spends a small portion of time devoted to the Japanese side of the attack and I think that was the right move. Tora! Tora! Tora! (1970) spent too much time switching back and forth between the US and Japanese stories that it felt too distant. This movie gives us a very intimate portrayal of the US side of things and focuses enough on each storyline that we can (somewhat) easily follow the plot. This movie also spends time on the aftermath and recovery which is something else that Tora! Tora! Tora! (1970) neglected to do, which showed that even after an attack like this one there still is hope. The special effects here are done extremely well and the attack on Battleship Row was done with such precision that we can see that Michael Bay truly did his homework here. 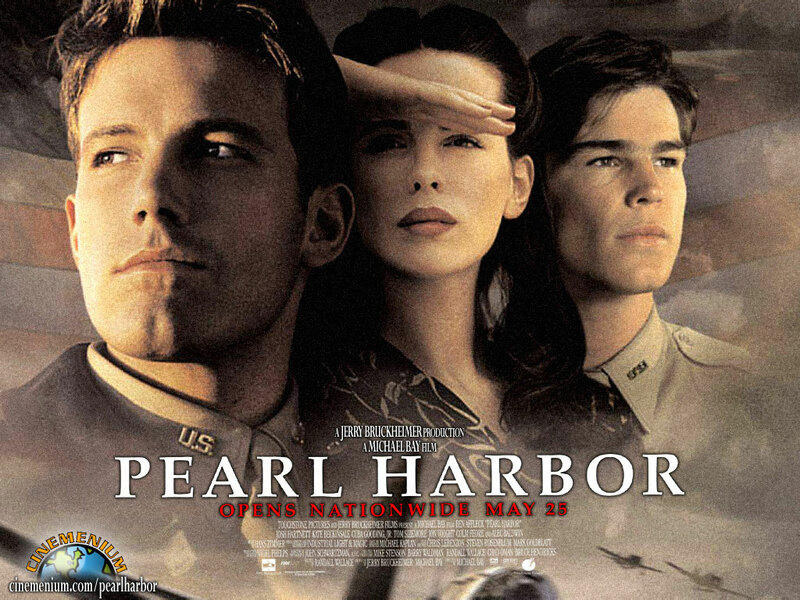 What’s ironic (and unfortunate) is that this very patriotic movie about a sneak attack on US soil came out 4 months prior to the next sneak attack.